Doug is Rempart’s founding President. 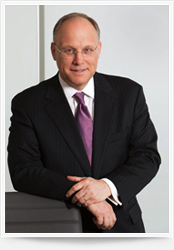 Previously, he founded and developed MacDougall Investment Counsel. This followed 10 years with Magna Vista/AGF Private Investment Management where he was Vice President and Senior Investment Counsel. In this role, Doug was responsible for the management and servicing of both private client and institutional accounts. Prior to AGF, Doug was an Investment Officer with the Canadian National Railway Pension Fund, where he managed both large and small capitalization equity portfolios. David is a founder of Rempart. Prior to this, he was a senior portfolio manager with MacDougall Investment Counsel for seven years. Earlier in his career, David spent nearly two decades as an oil and gas, energy services, pipelines and utilities analyst with four of Canada’s leading investment dealers, including CIBC Wood Gundy and Scotia Capital. David began his career with Gulf Canada Ltd.
Natalie is a founding member of the Rempart team. Prior to this, she was a portfolio manager with MacDougall Investment Counsel, as well as with Magna Vista/AGF Private Investment Management. Natalie has also been a Senior Portfolio Manager with the Royal Trust Company and subsequently the Royal Bank Financial Group. She was responsible for the portfolio management and client servicing of private clients, estates, trusts, and foundations. Malcolm is an original member of the Rempart team. 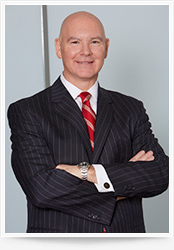 Previously, Malcolm was a portfolio manager with MacDougall Investment Counsel for five years. 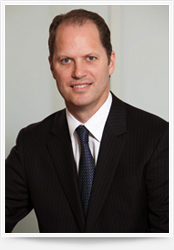 He had previously spent twelve years in private client portfolio management with TD Asset Management. Malcolm held increasingly senior positions within TD, ultimately as Portfolio Manager and Regional Director. Malcolm began his career in the banking and brokerage industry, working in both fixed income and foreign exchange trading areas. Karen has earned both a B. Math degree at the University of Waterloo and a Master’s degree from Concordia University. She has also successfully completed the Canadian Securities Course. Karen has several years’ experience as a portfolio administrator with Magna Vista/AGF Private Investment Management, MacDougall Investment Counsel and Rempart. Karen is one of the original team members to make the transition to Rempart in October, 2010. Rhianna is a Fine Arts graduate from Concordia University and is a successful graduate of the Canadian Securities Course. 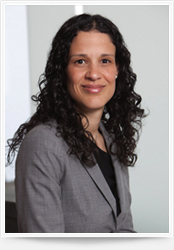 She began her career with MacDougall, MacDougall & MacTier, where she worked both in the institutional trading department and as an assistant to a senior Investment Advisor. 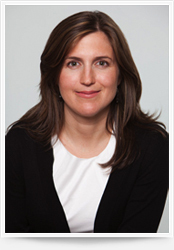 In 2008, she joined MacDougall Investment Counsel as a portfolio administrator. Rhianna is one of the original team members to make the transition to Rempart in October, 2010. Elizabeth began her career at MacDougall, MacDougall and MacTier several years ago. While at MacDougall, she gained valuable experience in the Credit, Transfers, Account Opening, Compliance and Trading departments. 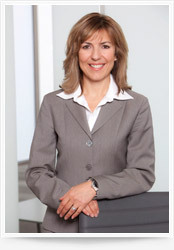 She has successfully completed the Canadian Securities Course and has earned her Investment Advisor designation. 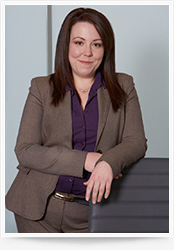 Liz joined Rempart in 2014 as part of the Portfolio Administration Group.